Details and diagrams for step-by-step instructions are provided in every box. Save your energy, protect your entrance or your outdoor walkway. The Shelter can be made for your needs. Make winter more enjoyable. Your family, clients and personnel will appreciate it. Save your back, stop using your shovel or your snow-blower. No more cleaning ice and snow off your car’s windows. 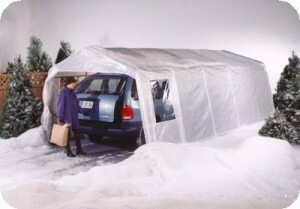 You car will even start easier in the cold. 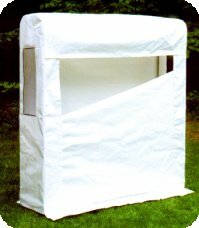 This all purpose Shelter is Perfect for your tools, firewood, bicycles or virtually anything you want to keep from wind, rain or snow! 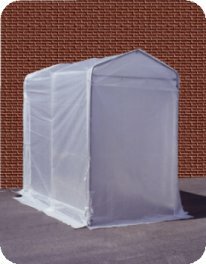 We also carry in-stock, or can get in a very short time any required parts for these shelters. Call (705) 887-7113 for prices OR use our contact form.